Variety reports that American Horror Story star and recent SAG Award winner (for her work as Marcia Clark in The People Vs. O.J. Simpson) Sarah Paulson will be switching things up soon, and hanging out with some murderers who weren’t written by Ryan Murphy for once. Paulson has signed on to star in Amazon Studios’ upcoming serial killer thriller Lost Girls. The first narrative feature from documentarian Liz Garbus, the film will be based on a 2014 non-fiction book about a desperate mother searching for her missing daughter, ultimately stumbling onto the bodies of four murdered girls dumped on Long Island. (Their killer is still at large, apparently, in case you needed an extra dose of depressing for the day.) 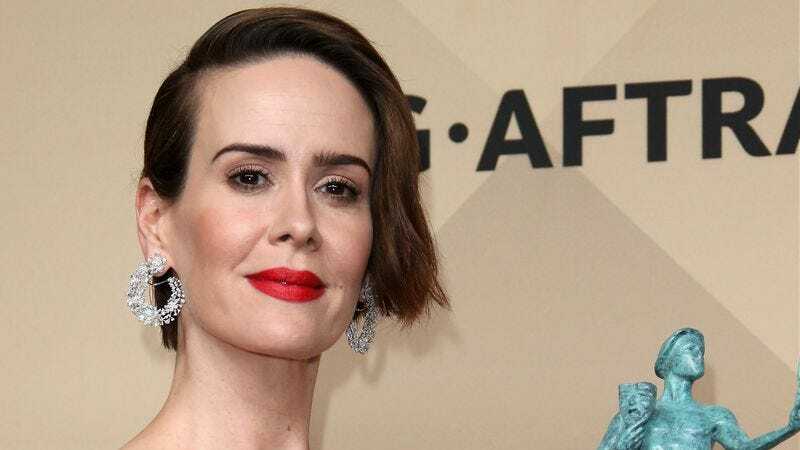 Paulson would presumably star as the mother, briefly indulging in a more terrestrial brand of horror, one that doesn’t involve immortal Ladys Gaga or drill-dicked addiction monsters or O.J. Simpson for a change.